Signed, lined and dated by the author. Synopsis : 'I'll tell you what happened because it will be a good way to introduce my brother. His name's Simon. I think you're going to like him. I really do. But in a couple of pages he'll be dead. And he was never the same after that.' 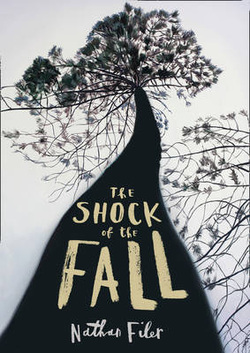 The Shock of the Fall is an extraordinary portrait of one man's journey through the spinning vortex that is mental illness. It is a brave and groundbreaking novel from one of the most exciting new voices in fiction.